Before parting with this judgment, we would like to acknowledge the admirable spirit demonstrated by petitioners’ organization, by those individuals, architects, urban planners, academics and students for protection of city’s ecological and environmental horizons. During hearing of this case, the Court was touched by the rainbow of idealism, of intellect, of architectural ability, of urban development and mental health expertise of graces and youthful exuberance… As long as this spirit is alive, we are sanguine, the authorities and the leadership would continue to be guided by the values of sustainable human and urban development. 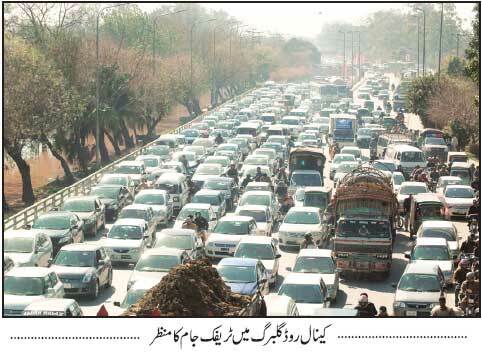 Following the September 2011 decision of the Supreme Court of Pakistan in Lahore Canal Road widening case (SMC No. 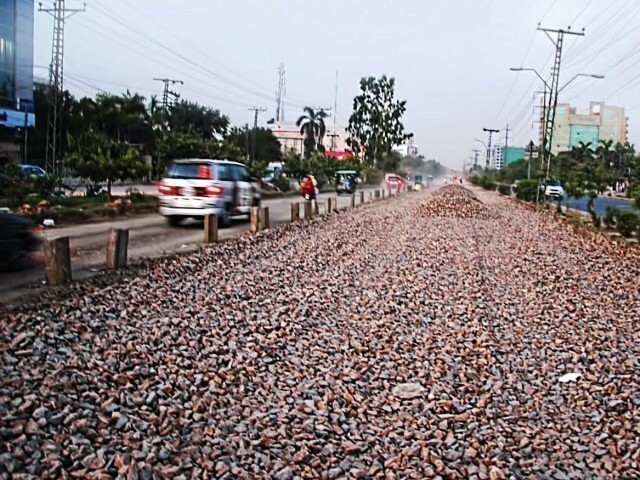 25 of 2009), the Government of Punjab wasted no time in cutting down trees to widen the road along the green belt for a stretch of the Lahore Canal. Many could be forgiven in thinking there was little other in the judgment of the Court, but they would be wrong. The widening of a limited stretch of road along the Lahore Canal was only one of 10 directions the Court had given. The first was that the entire length of the Lahore Canal and its green belt “shall be treated as a Heritage Urban Park forthwith and declared so by an Act to be passed by the Assembly…”The Punjab Assembly’s Standing Committee on Housing, Urban Development and Public Health Engineering held hearings in December 2012 where representatives of the Lahore Conservation Society, Lahore Bachao Tehreek and WWF-Pakistan provided input to the draft legislation prepared by the Government of Punjab. Although the law was being prepared in pursuance of the Court’s judgment, there were reservations against the draft, which allowed the Government of Punjab carte blanche, especially on the controversial issue of more infrastructure development along the Canal. Despite these reservations, the Lahore Canal Heritage Park Act, 2013 was passed on 14 January 2013, making it the first urban and heritage park legislation in Pakistan (other parks are protected by notification). It is also a major success for civil society in Lahore and Pakistan. How often can a civil society movement anywhere lay claim to have traversed the full spectrum of activism: from protest and advocacy to legislation and policy? The preamble to the Act provides “Whereas the Lahore canal and the green belts on both sides of the canal is a public trust and is part of the heritage of the city of Lahore; therefore, it is expedient to make provisions for the maintenance of a salubrious environment and conservation of the Lahore Canal as a heritage park; to preserve the flora and fauna of this heritage park; and to provide for ancillary matters.” The maintenance of the Heritage Park has been made the responsibility of the Parks and Horticulture Authority and an Advisory Committee established to advise the PHA on upkeep and maintenance. The Act prohibits the construction on infrastructure, felling or damage of or to trees, pollution of water, hunting and use of firearms in the Heritage Park, but allows the PHA to give permission to any of these prohibited acts provided a list of criterion are met. The Advisory Committee comprises nominees of government departments and civil society. The membership of the Advisory Committee was designed to ensure continuing civil society participation in decisions that would affect the Lahore Canal. However, by allowing the PHA the power to override the decisions of the Advisory Committee, the Act fails to properly value this participation. The Advisory Committee has so far met thrice and has proposed rules of procedure for itself, has directed the delineation of the boundaries of the Heritage Park and is planning a tree master plan for the park. Once its rules of procedure are set, the Advisory Committee will be in a position to undertake initiatives in the Heritage Park. What has been surprising was the request, recently made at the 3rd meeting of the Advisory Committee, to consider a proposal for additional road-widening and three U-turns along the Canal. The Committee was told such an initiative would improve traffic congestion. However, I have my doubts. If the road widening of last year now requires another Rs. 400 million of infrastructure to “reduce traffic congestion” and Lahore still does not have a traffic or urban Master Plan, then there is grave risk that an ad-hoc initiative will be at the cost of legally protected heritage. Civil Society must understand that the growth and development of Lahore will forever remain ongoing. What is important is that we give back to the city something that our children and their children can hold as heritage. 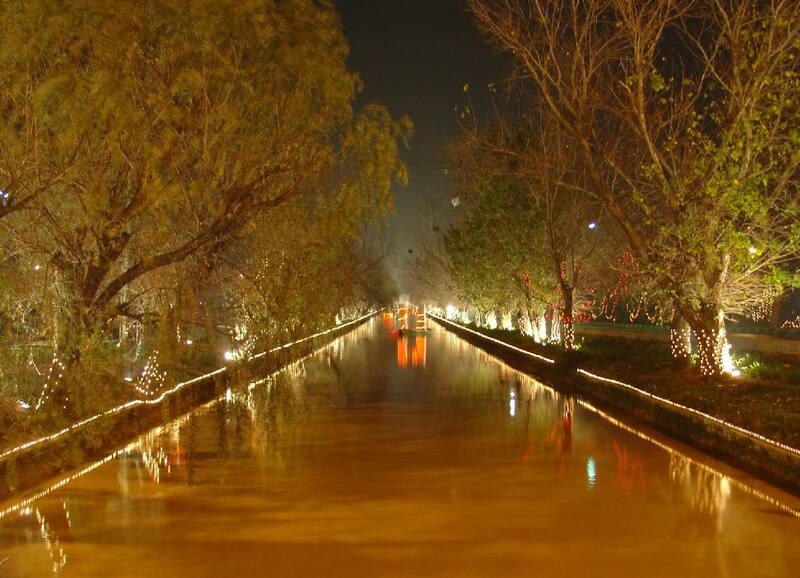 The Canal Heritage Park is part of the Lahori psyche, as much as the Walled City, the Shalimar Gardens or halva puri. Civil Society must understand that as long as the city grows, pressures to sacrifice our heritage must be forever guarded against. The battle is and will remain ongoing. 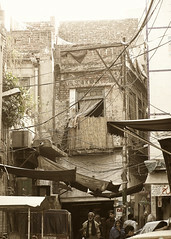 With a fast growing population, and increasing pace of urbanization, Pakistani cities, like many other in the developing world, are facing mounting problems related to provision of municipal services, public transport, land for housing, and the deteriorating quality of drinking water and ambient air, amongst myriad others. Confronted with growing challenges, many cities around the world are re-thinking ‘traditional’ approaches to urban development, emphasizing different priorities and approaches which factor in the needs of the many against those of the few. To highlight some of the major challenges facing large cities around the world and how these cities are responding, the Environmental Law and Policy Class at the Law and Policy Department at LUMS in collaboration with Clinton Climate Initiative (CCI), a programme of the Clinton Foundation has organised a talk by Mr. Enrique Penalosa, world renowned urban strategist and former mayor of Bogota (Columbia) who transformed that City of 7 million inhabitants into a living example of sustainability – building schools and dispensaries, improving transport, increasing public spaces, and reducing crime rates. Mr. Penalosa has been featured in The New York Times, Herald Tribune, PBS Television, BBC and many others and has advised cities throughout the world such as Cape Town, Denver, Berkeley, Seattle, Melbourne, Sao Paulo. Mr. Penalosa’s talk will be followed by a brief presentation on issues and challenges of public transport and mobility by Mr. Oscar Diaz, Sr. Director of the Institute for Transport and Development Policy (ITDP). To benefit from this opportunity the LUMS School of Law and Policy invites you to join members of the civil society, professionals, architects, planners, academics and students to the event at 11am on 19th September, 2008 at the Sayeed Saigol Auditorium at LUMS Campus, DHA, Lahore. To say Pakistan is a mass of contradictions is an understatement. We live in a country where powerful politicians don’t need to be elected, where the chief justice is without a courtroom and where army officers, until a few months ago, controlled the Water and Power Development Authority. Recently, I found a Club Class return trip ticket on our national carrier was two thousand rupees cheaper than its Economy Class equivalent. Things are certainly topsy-turvy in these parts. These contradictions permeate through everything. They exist everywhere. For instance, my journey from home in Lahore’s Upper Mall to the High Court takes 30 minutes, even though all I need to do is travel straight down The Mall. But a journey to LUMS, in the farthest regions of Defence’s U-Block, through the Cantonment and numerous traffic intersections, never takes more than 25. SOLID WASTE management department of City District Government Lahore (CDGL) is heavily contributing in polluting the environment of the provincial capital in one or another way. Just a few months ago, in the shadow of the archaeology department’s devolution to the provincial government, a minaret in the Lahore Fort collapsed, revealing to all just how effective official conservation measures are. A decade ago, citizens of Lahore stood flabbergasted as construction workers felled hundred-year-old trees to bring the shoulder of the G T Road within inches of the entrance of Shalimar Gardens. In the intervening years, the only notable bit of urban conservation was the restoration of the Tolington Market, where, as an illustration of the quality of restoration work, only a few weeks ago, anxious NCA students exhibiting their thesis feared exposure and dripping rain would ruin their work. The PHA’s “new” billboard policy – ostensibly for the beauty of the city – can only find 12 sites of historical importance worth protecting from the ugliness of its advertising hoardings. This in a historically and culturally rich city over a millennium old.